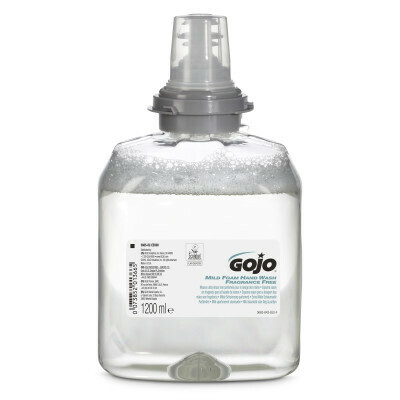 Developed for use in the corresponding dispenser, this Gojo Mild Foam Hand Soap Cartridge is the perfect replenishment item. Formulated for high frequency use, this mild soap is dispensed in a foam structure which spreads easily across the skin while containing no fragrance to reduce the risk of irritation. Using GOJO SMART-FLEX™ Technology, this compact pot uses 30% less material than HDPE while controlled collapse technology secures the bottles shape during use. Inspired by Spa's, introduce this hard working but gentle foam hand soap to your workplace today. This handy refill bottle is compatible with the Gojo TFX Touch Free Dispener which comes in both a black or silver design.